Internet of things has numerous applications in healthcare, from remote monitoring to smart sensors and medical device integration. IOT boosts the patient satisfaction by allowing them to interact with their doctors. It can keep patients safe and healthy and improves the delivery care of physicians. IOT has a large number of applications in healthcare that benefits patients, physicians, and families. The Internet of Things in Healthcare Market is expected to grow from USD 41.22 Billion to USD 158.07 Billion with a CAGR of 30.8% by 2024. 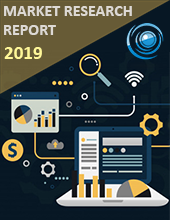 Internet of Things in Healthcare Market is segmented by the component which further segmented into systems and software that includes remote device management, bandwidth management, and data analytics is expected to have the highest revenue in the forecast period. The Asia Pacific has the highest growth rate on the Internet of things in healthcare market due to the increase in some hospitals, surgical centres and increasing demand for the cloud-based solutions from the manufacturing. India, China, and Indonesia are expected to have the highest CAGR in the forecast period. Internet of Things in the healthcare market is estimated to register the highest growth in the forecast period due to the implementation of government policies, rising incidence rates of chronic diseases, advancement in technology and growing demand for the cost-effective treatment and disease management. However, the increase in the need for stringent regulations and decrease in the price of sensor technology may hinder the growth of the market. The web of things in the healthcare market is segmented by Component, End User, Application, and Communication. In the category of Application, Telemedicine that transfers the medical information from one site to another has the most significant share in the market. Asia Pacific contributes the most significant market share in IOT in healthcare market due to the rise in hospitals and cloud-based solutions in the region. On the other hand, China, Indonesia, and India expect to have the highest growth rates in the forecast period. Intel has the commercial launch of 5G that enable people and the things that may be big or small to connect to complex systems of wireless networks. Cisco has a new technology of Software Defined Networking that delivers speed and agility when you establish new applications and business services.